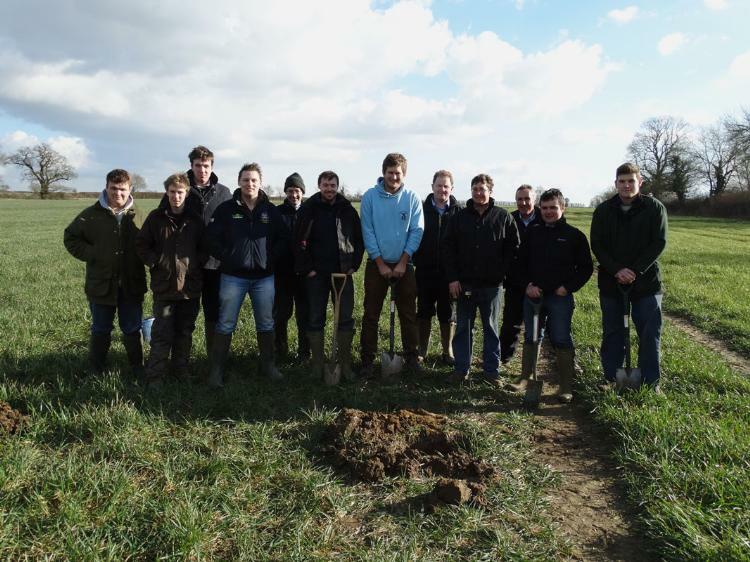 The National Federation of Young Farmers’ Clubs’ (NFYFC) dedication to personal development has been given a boost by Rutland Electric Fencing. The UK’s market leader in electric fencing has agreed a sponsorship deal to support the Federation’s County Chairmen’s residential weekend. 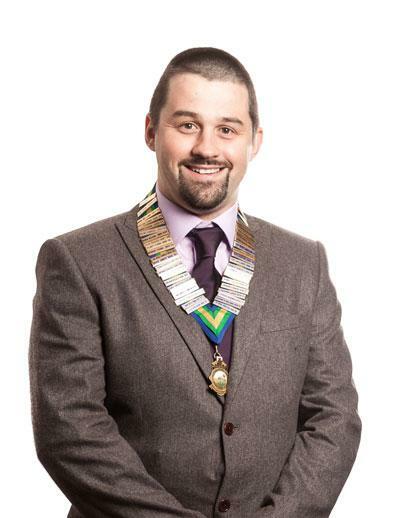 The weekend, due to take place in November 2015, is for YFC members who have been successfully elected to become Chairmen and Vice Chairmen in their counties. 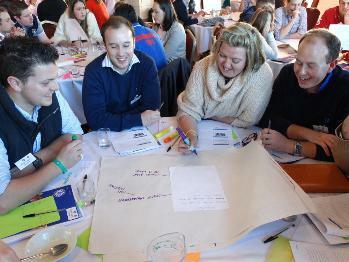 YFC County Chairmen are Young Farmers who voluntarily lead their counties and inspire their members to have fun, learn and achieve. During their year as Chairman, they are responsible for the management of the county and act as ambassadors and role models within the Federation. The aim of the County Chairmen’s Weekend is to provide County Chairmen and Vice-Chairmen the opportunity to network, share best practices with each other and be given the chance to develop new skills. After several years without dedicated specialist training, the County Chairmen’s Day was re-introduced by the NFYFC in December, as requested by the members themselves. Following the event, the delegates agreed that this specialised training offered them much needed support and helped them gain vital knowledge. They also said that any future events should be held over a weekend as it helped create a relaxing environment for delegates to learn. This new partnership with Rutland Electric Fencing has enabled the NFYFC to offer this weekend to its members in 2015. Thanks to Rutland Electric Fencing’s sponsorship, 2015’s residential weekend will also include four spaces for members from the Young Farmers’ Clubs of Ulster, which will enable them to interact with their peers from England and Wales. Agriculture played a significant part at this year’s Big Bang Fair, as Young Farmers championed the industry to thousands of visitors. With support from Defra, NFYFC teamed up with ambassadors from Bright Crop at the Fair to promote the wide variety of jobs available within the agricultural industry. In the presence of a large Massey Ferguson tractor, the Young Farmers’ stand attracted thousands of visitors across the four-day event. 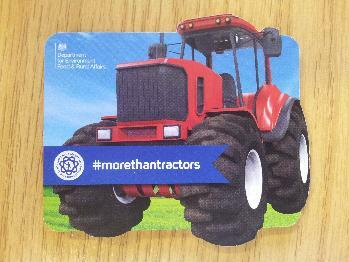 Using promotional leaflets, with the hashtag #morethantractors (pictured right), the two organisations were keen to show young people that a career in agriculture can be much broader than working on a farm. The team distributed approximately 3,600 leaflets in total. Held at the NEC in Birmingham, The Big Bang Fair is the largest celebration of Science, Technology, Engineering and Maths (STEM) subjects for young people in the UK. This year’s Fair is believed to have attracted more than 80,000 visitors. 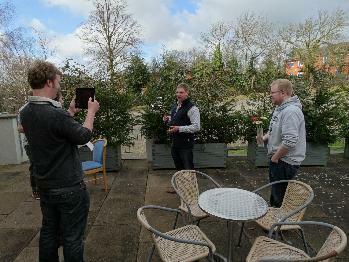 One of those visitors was Farming Minister, George Eustice. 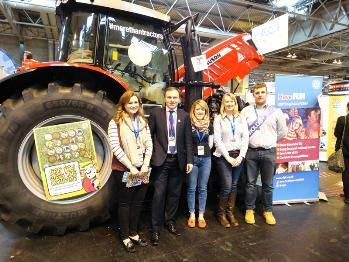 Young Farmers and Bright Crop ambassadors talked at length to Mr Eustice about their plans to encourage young people to consider a career in agriculture. Prior to the event, a survey conducted on behalf of Bright Crop showed that only four per cent of young people were considering a career in farming and food supply. 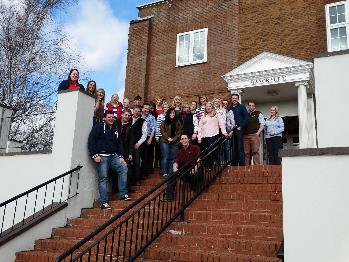 Newly-elected Chair of the NFYFC AGRI Steering Group, Lynsey Martin, attended the fair. 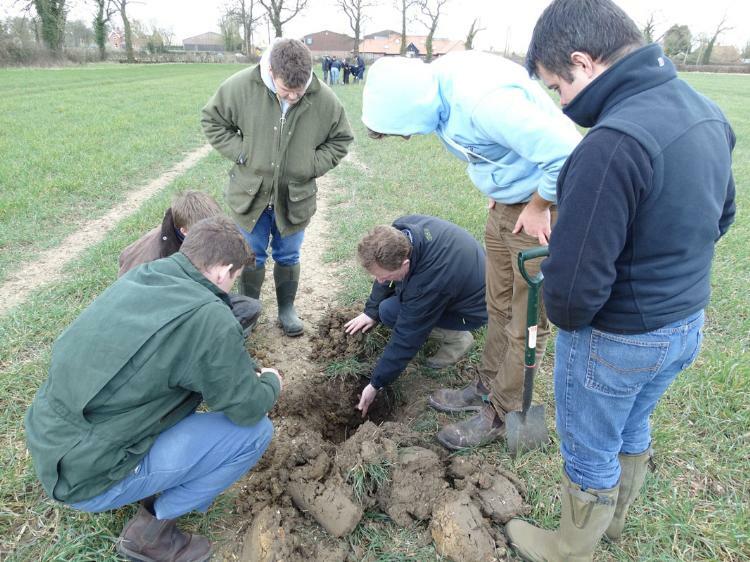 She said: “One of the aims of the Steering Group in 2015 is to eradicate misconceptions about agriculture, which are discouraging young people from pursuing a career in the industry. We want to promote this amazing and diverse sector and encourage young people to join us in making it bigger and better. The agricultural industry was given an even bigger boost at the Fair, as the Agri-Hammer, a machine which helps prevent farm accidents, meant that its inventor won the illustrious title of UK Young Engineer of the Year.